If you don’t want to read, you can check the video at the bottom of the article. If you have not yet heard of Trello, Trello is an application that helps you create to-do lists. You can create various boards with unlimited lists. Each list can have unlimited cards and each card holds information related to a task. Cards can have checklists, attachments, due dates, members and a lot of other things. I’ll let you explore that on your own. Let’s now focus on managing a WordPress Product with Trello. 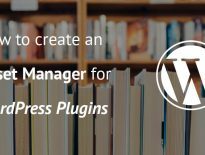 Of course, you will create a new board for your WordPress product. If you have a team, create a team and attach the board to the team. By doing that, everybody on your team will have access to the board. If you wish to show the whole roadmap for your users, make it publicly available. Otherwise, make it private, especially if you’re storing sensitive data to it. 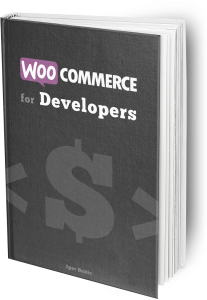 When creating board lists, you need to take into account what your WordPress Product is about. 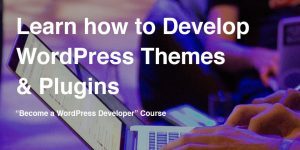 I will simplify things here and create something general which you can apply to a plugin, theme or any other product. The info list is the first column that you’ll see when opening your WordPress Product board. Since Trello is moving from left to right, you don’t want your info list to be to the right because you might scroll indefinitely in a few months. General Information: What is this product about? The initial idea and thoughts on it. Graphics: You can place colors, logos and other assets here. When managing a WordPress Product, you will most likely get various feature requests. That is a great thing because it means that your product is being used. If you’re managing a freemium WordPress Product, some of the features might become a premium feature. The backlog list of your WordPress product will contain all the features, refactoring and other stuff that is yet to be done. Each card holds information on what you want to do, checklists and such. Don’t set due-dates and members to them yet. Usually, a feature request might get into this list also, if approved. Also, this cards can be marketing related or site related. Maybe you have some documentation to write or publish a new blog post about your product. This is where all happens. Version lists are list that you will create for each version. Each list will have the name of the next version you tend to publish. When you’ve discussed which backlog cards are going into that version, you move them there. Then, if you’re working in a team, assign one or more members to that card. If you’re working on a schedule, be sure to add due-dates to cards. That way, Trello will inform all members assigned to that card when the date is close. New version lists are not going to the right. Since Trello is moving from left to right, you don’t want to scroll 20 old version lists to get to the 21st. So what I do here is double-clicking between the Backlog list and the latest Version list. There will appear a simple form to create a new list and when created, it will appear in between those lists. That way, you’re keeping Backlog in its previous place and moving the old Version list to the right. Trello also allows labels so you can create unlimited labels for easier management of your cards. This is up to you on how you want to manage your cards with labels. Since there is no “Done” column, I like to have labels for statuses. Labels can also be used for departments and such so you can have a label for Marketing, Blog, Development and such. You can also copy the board I have done with a few more cards and markdown set for Feature requests so you can copy that when creating new requests. To copy this board for your own WordPress Product, go to top right Show Menu and then on More and Copy Board. Managing a WordPress Product can be hard but with tools such as Trello, your life (and the life of team members) gets a bit easier. 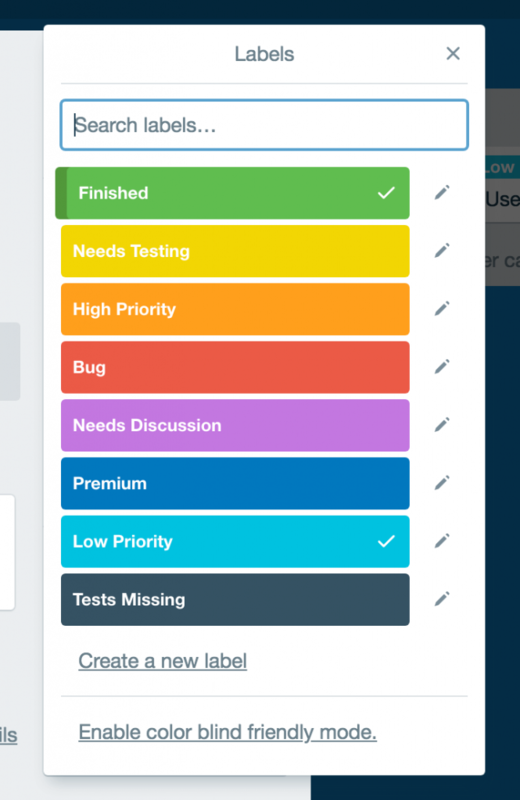 Be sure to try Trello out and if you have any other Tools that you’re using for managing your products or even jobs, let us know in the comments below. I use trello for internal project tracking, I like your way of organizing boards.